Before talking to a community sales agent or other real estate agent, meet with an independent financial advisor to review your retirement savings. Once you know how much you can truly afford to spend on your retirement home, it will be easier to stick to your budget while home shopping and negotiating the sale. For retirees—or those who have retirement in sight—now is a great time to buy a retirement home. Prices are down in most communities and there are many fabulous homes on the market. Of course, that doesn’t mean you should run out and buy without a plan. Just a few simple tips will help you find a great deal and make the most of this buyers’ market. By now, you have enough experience to understand that buying a home is a major investment. Perhaps you’ve owned a home (or many homes) before. While you may know more than a young, first-time homebuyer, don’t let your previous experience keep you from doing your homework. The housing market is changing, and smart homebuyers take the time to research before buying. Investigate the community, the developer and recently sold homes in your chosen area to find out what constitutes a “good deal” in the current market. 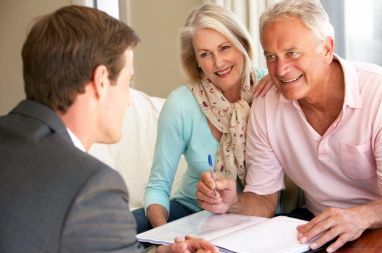 Before talking to a community sales agent or other real estate agent, meet with an independent financial advisor to review your retirement savings. Don’t forget to plan for retirement goals like travel or recreation expenses. Once you know how much you can truly afford to spend on your retirement home, it will be easier to stick to your budget while home shopping and negotiating the sale. In real estate, there’s an old adage which advises against buying the biggest or grandest house on the block. This is because the value of your home is always dependent in part on the price of its neighboring homes. Bigger homes also require more maintenance and upkeep costs. Now that the market has made homes more affordable, don’t be tempted to buy a bigger or more luxurious house than you need just because it is a “good deal.” Instead, look for a home that is just right for your retirement needs and use the savings to reach some of your other retirement goals. Amenity-rich communities are nice, but no one wants to pay for perks that they know they won’t use. For the best deal, compare the monthly association fees at your favorite active adult communities. Find out what the fees cover and if you would be paying for something you won’t use, like a mandatory golf course membership. While larger resort-style communities are impressive, make sure you plan to use a good portion of the amenities. Otherwise, you might be happier in a community with lower association fees and just the amenities you will use. Though you may have dreams of buying a new construction, don’t limit your options too much. Choosing a pre-built (or partially built) new home doesn’t give you the freedom to plan every detail, but it can be a great way to save money while still being the original homeowner. Similarly, you should also let yourself be open to looking at resale homes. You never know when you might come across a previously-owned, well-maintained home which has all the features you want—including a lower price.